Nearly invisible - the new Planet Waves NS Micro Tuner! Tunes accurately a wide range of stringed instruments:tunes acoustic and electric guitars, basses, mandolins, banjos, ukuleles, double bassand other stringed instruments. Compact design blends into the aesthetics of instrument while adding considerably less weight than other headstock tuners. Low-profile compact, lightweight, easy-to-use design hides behind the headstock. While the features grew, the size of the NS Mini just got smaller introducing the PW-PT-12 NS Micro Headstock Tuner. The NS Micro offers improved accuracy, faster response, expanded calibration range, visual metronome mode and an improved ratchet design. 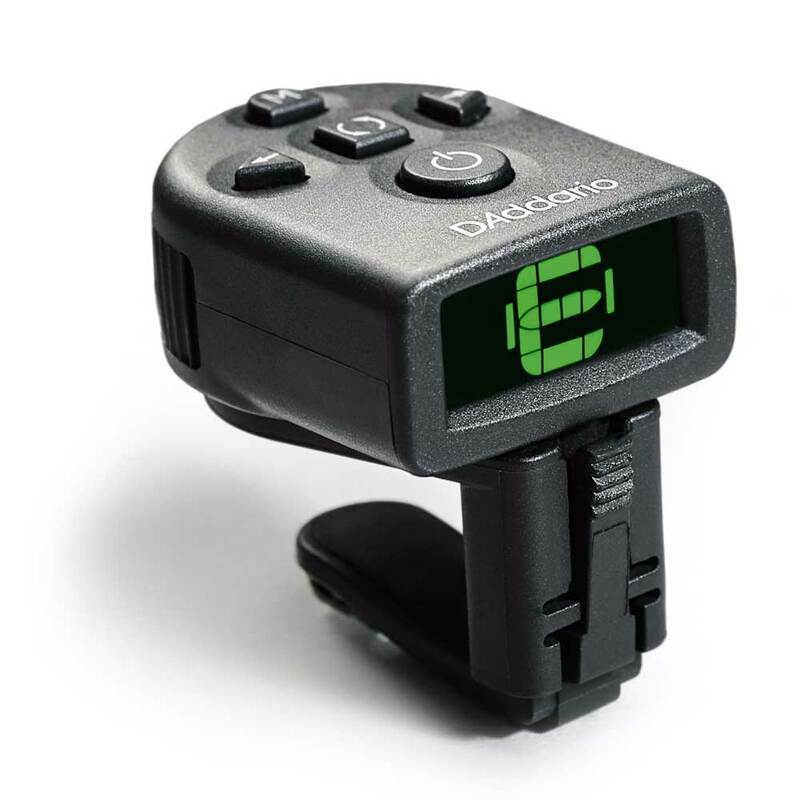 A highly sensitive piezo transducer and easy to read multi-color backlit display allow smooth and highly accurate tuning in noisy, dim or well-lit environments while the micro design and reversible screenallow the tuner to hide effortlessly behind or mount on the front side of the headstock allowing the tuner to remain clamped to the instrument inside most cases when stored. A360 degree swivel mechanism and adjustablepadded clamp, offers optimal viewing angles and maximum positioning flexibility. As a result, the NS Micro isequally at home on left and right-handed instrumentsas well as on small and large headstocks, making it the ideal choice for the widest variety of players and instruments. The NS Micro is powered by a readily available CR2032 battery (included) and provides maximum battery life utilizing an auto-off function, shutting the tuner off automatically after several minutes from power up. Enjoy effortless and inconspicuous tuning at a great value with the NS Micro Headstock Tuner.